According to the director of the Kazakh MFA Department for Asia and Africa Aidarbek Tumatov, today’s Astana process of signing a new memorandum on tensions de-escalation zones will allow bloodshed to end in Syria and initiate a new political dialogue. According to the document at our disposal, 4 zones of the escalation of tensions are to be created in Idlib governorate, to the north of Homs, Eastern Ghouta and in the south part of Syria. The exact coordinates of the zones will be determined by guarantor states on May 22. The working group will be created within five days. It is expected that the usage of arms will be prohibited inside the zones and humanitarian organizations will be provided with all the necessary assistance. Measures will be taken to restore urban infrastructure, water supply, and other life support systems. Along the border of the de-escalation zones, they plan on creating lines of demarcation to prevent ceasefire violations. There also want to erect checkpoints for civilians, and the delivery of goods and humanitarian aid. 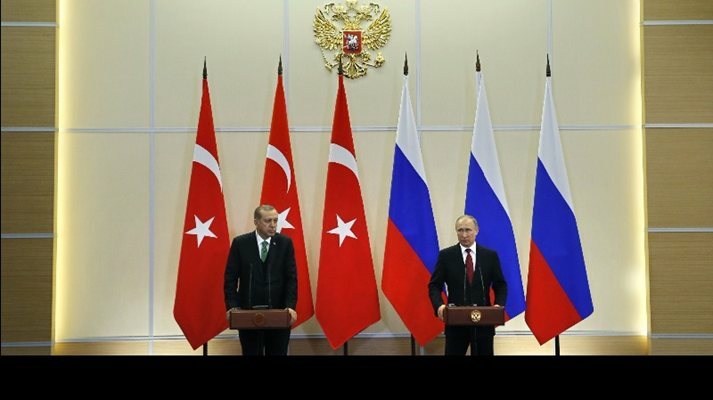 It was also said that Iran, Russia, and Turkey will act as a guarantor of peace and security in the region and at the same time support the territorial integrity and independence of Syria. According to The Nation: Several members of the rebel delegation, however, left the room shouting as the signing took place at talks in the Kazakh capital Astana, angry at regime ally Iran, an AFP reporter saw. According to Qadri Jamil (pictured below) the head of the Syrian opposition’s Moscow Group, all sides support the idea of creating such zones and their presence would help end the bloodshed and create favorable conditions for political settlement in Syria. Mahmoud al-Hamza (pictured below), a member of the Syria National Council also stated that he welcomes any steps aimed at reducing violence. Syrians are tired of war and yearn for peace. He stressed that such an initiative should be implemented. The aim of the zones, according to an Arabic version of the draft, is to “put an immediate end to the violence” and “provide the conditions for the safe, voluntary return of refugees” as well as the immediate delivery of relief supplies and medical aid, the document said. Damascus supports the Russian plan, Syrian state news agency SANA reported. Recently, the U.S. proposed an initiative to create “no-fly zones” and “safe zones” in Syria while Turkey offered to set up refugee zones along the Syrian-Turkish border. However, there were concerns that Washington and Ankara may support the Syrian opposition under the pretext of a humanitarian operation. According to CNN, Donald Trump is ready to discuss and even adopt the initiative. The consensus thus far at the fourth round of Astana Peace talks seems to be that establishing such zones is a decisive step towards ending the six-year war in Syria. It’s imperative that if these zones are to be created that this goes hand in hand with political dialogue. A great deal will depend on how scrupulously the parties will comply with the memorandum.